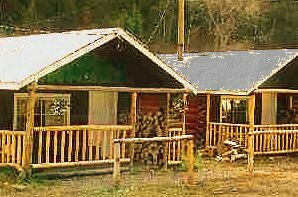 The Goldpan Inn offers charming rustic cabins right on the Tulameen river. Easy access to hunting, fishing, skidooing, hiking and just about any outdoor activity you wish to persue. Your host Nick Saban can be reached at 250-295-1277 or send an e-mail to goldpaninn (at) yahoo (dot) com. Check out the GOLDPAN INN website.